The all-new Subaru Ascent is already a big hit with consumers. See how one dealer has pre-sold their entire allotment. The new 2019 Subaru Ascent 3-Row family hauler doesn’t arrive at U.S. dealer showrooms until this summer, but they can be pre-ordered now. We have heard one Subaru dealer, has already pre-sold their entire allotment of new Ascent vehicles. According to a tip Torque News received from a source who works at the dealership, the new Ascent is a hot item already for the brand. She told us they were allocated 31 new Ascent family haulers and 4 days after they could be pre-ordered, all 31 have been sold. Families who want one will have to either put their names on a list or wait until more arrive sometime this summer. The all-new Subaru Ascent is being built at the revamped Subaru plant in Lafayette, Indiana, Subaru of Indiana Automotive (SIA). The plant has already undergone a major expansion nearly doubling production capacity. This year, they are set to produce 342,000 Subaru vehicles, which in addition to the Ascent, the production includes the Subaru Outback wagon, new Impreza compact sedan and 5-Door hatch and the Legacy sedan. Based on current trends, Subaru may not be able to build enough of the new Ascent 3-Row crossovers to satisfy the demand for the new flagship model in the U.S. and Canada. 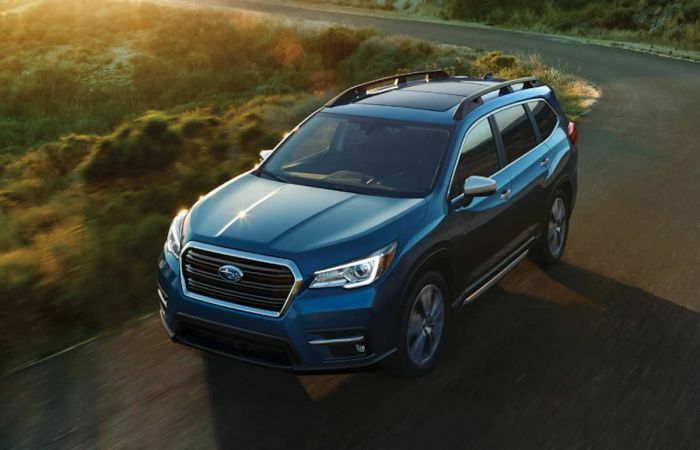 Subaru expected the new Ascent to be a big hit with North American families and they could sell more than 60,000 of the new family-sized SUVs in the first year. We asked who is buying the new Ascent, and she told us most of the buyers are new to the Subaru brand, but there are also some current customers trading out of Outbacks. This Subaru dealer is seeing mostly the upper Limited ($38,995) and Touring ($44,695) trims being pre-ordered by customers. Subaru expected the new all-wheel-drive family vehicle to be a big hit with current customers looking to move up from an Outback or Forester, and families looking for a 3-Row crossover who have never purchased a Subaru vehicle before. Subaru could have a problem right out the gate and may not be able to build the Ascent 3-Row crossovers fast enough to satisfy the demand for the new flagship model. The all-new 2019 Subaru Ascent won’t arrive in showrooms until this summer, and some dealers have already sold their pre-order allotment. It looks like Subaru has hit a home run with the new Ascent. Do you know when they will have their lease pricing on the Ascent available? We have been to the dealership and they only have purching info. We too are interested in trading in our lease Outback for the Ascent. But, would love to see one in showroom. I understand the dealers won’t get a showroom Ascent till April. I have sat in the new Ascent because I work at the SIA plant in Indiana and I m here to tell you this vehicle is mind blowing. Plenty of room for the whole family. This vehicle may not have as much cargo space at say the suburban by Chevy, but it has enough to accommodate the American family. Lots of extras and the the technology in this vehicle is unreal. I am not surprised. It is like when Apple decided to make large screen phones. The reputation for quality is already established. All Subaru needed was to make a bigger car. But it is not just big, but stylish, but even more so, very functional-Can you beat how many cup holders? Leg rooms? many features standard?And affordability? It was bound to be a hit alright. wait, selling 30 ascents is mind blowing? I totally agree JB - no way would I go down that road without a thorough test drive. Is Subaru aware of this garbage site? As a potential very interested buyer NOT in the Fayetteville AR area, I'm seriously turned off by this sales staff driven BS. So...I can't get one? Fine. I'll select another brand's product. I'd like to see test drive reviews from 3-party reviewers. We're still in the dark about power in every day driving and still no firm confirmation that the Ascent takes regular gas. I can confirm this car 100% runs on regular gas. The manual itself recommends regular 87 octane just like our Outback and Forester. 30 Ascents doesn't seem like a lot but when you consider the average new car dealership in the US sells right about 100 new cars per month, 30 preorders of a single model becomes more of a big deal. Then factor that these people haven't touched the car. Its a pretty big deal. What this article fails to mention is that the first allocation being filled up isn't a big deal. We filled our July allocation in the first week. We have just about filled up our August allocation and a few color/option combos are starting to see a September ETA. What is the most popular color/option combo?